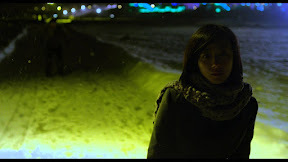 Written over the course of eight years, although the eerily ominous first act of writer-director Yi'nan Diao's Berlin International Film Festival Golden Bear winning feature bursts with potential, Black Coal, Thin Ice soon cracks under the pressure of audience expectations. A narratively ambitious exercise in modern day detective Noir that lacks the well-defined structure and characterization needed to support what purports to be a strongly character-driven mystery, Diao's talented leads are left floundering in a film which grows increasingly illogical with each successive scene. 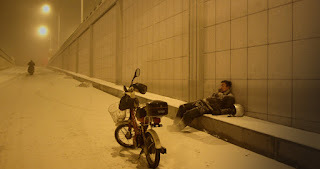 Combining the basic building blocks of a prototypical illusive serial killer mystery with its tale of a drunk, down-on-his-luck, and disabled ex-detective in the midst of an existential crisis (played by Fan Liao), Diao struggles mightily, unable to fill the fittingly icy picture with even the faintest trace of warmth or empathy towards our lead. 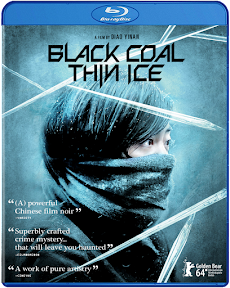 A cautionary tale about the dangers of tunnel vision to some extent both onscreen and off, Black Coal, Thin Ice proves you can spend so much time on a project that you lose all sense of objectivity. Though it's a muddled mess of a movie, given some of the brilliant twists planted within a work that likewise raises some intriguing questions about gender equality, double standards, and (mis)treatment, as flawed as Diao's award-winning Black Coal, Thin Ice may be, it nonetheless shows great promise for a much-improved remake. Needless to say, as a foreign film purist overall, this revelation genuinely surprised me but still speaks volumes for the film I believe that Diao's Black Coal, Thin Ice has the capability to be. In fact, having watched Brian De Palma's Dressed to Kill again just a few days later, I couldn't help but wonder how someone like De Palma could translate Black Coal, Thin Ice (maybe even alongside Diao) to the American screen, perhaps this time under its original and much more memorable title of Daylight Fireworks which should've been kept for the picture's stateside release. A visually intoxicating import, Black Coal, Thin Ice thrives less on logic than mood and intrigue. And while thrilling in theory, in the end, Diao's insistence on style over substance keeps the film's occasional moments of true innovation buried beneath the chilly surface of this new Well Go USA Entertainment Blu-ray, digital, and DVD release.